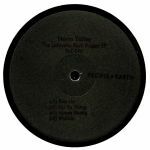 Review: For their latest trip into soul-soaked machine music, People Of Earth has turned to debutant Detroit producer Haz Mat, who has been plying his trade as a musician and DJ in the Motor City for at least the last 15 years. There's an assured feel to A-side "My Zania", a rock solid, occasionally driving deep house number smothered in fluttering chord progressions, techno style analogue bass, and rising, intergalactic motifs. You'll find more tech-tinged deep house soul on the flip, where the synthesizer-heavy "Bridge To The Universe" - a fitting title, all told - sounds particularly addictive. 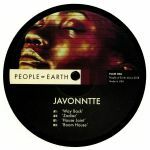 He draws an excellent debut to a close with "Groove of Life", where fluttering flute solos dance across a jazz-funk inspired, Andres style deep house number.